The American Optometric Association recommends a complete eye exam every 1 to 2 years depending on your age, medical condition and risk factors for eye disease. Because everyone is different, you should ask Dr. Blaize how often you should be seen. Children should have their first eye exam at age 5, or earlier if the parents have a concern. After the initial visit they should be seen yearly. This is important because during the early years a child’s vision is most likely to change. It is highly recommended to have your pupils dilated as part of your comprehensive eye examination. Dilation allows for the evaluation and detection of diseases such as glaucoma, diabetes, cataracts, and macular degeneration. After your dilation, you will be sensitive to light and experience blurry vision, especially when reading. These effects will start to improve after about 2 hours. Our office provides sunglasses to reduce the discomfort. If it is inconvenient to get your eyes dilated on the day of your examination, we will be happy to schedule it for another time. What is the difference between an optometrist, optician, and an ophthalmologist? Optometrists are primary eyecare providers that specialize in eye related disease, corrective lenses and contacts. Optometrists perform comprehensive examinations of the entire visual system including internal and external structures of the eye, neurological, muscular and other eye related systems. They diagnose and treat conditions such as glaucoma, allergies and infections by the use of pharmaceuticals, minor surgery and other proven treatments. A large portion of an optometrist’s work is related to improving their patients’ vision with glasses and contacts lenses. Ophthalmologists specialize in eye related disease and surgery. Some ophthalmologists are sub-specialists in areas such as cataracts, retinal diseases, plastic surgery and pediatrics. Ophthalmologists are not trained to the extent of optometrists in prescribing corrective lenses and contacts. Opticians are an important part of the eye care team. Opticians specialize in the fitting and dispensing of eye glasses. Opticians help determine which eyeglasses are best suited to each patient’s lifestyle and visual needs. They take eye measurements to insure proper lens placement in the eyeglasses and verify the accuracy of the finished product. Opticians also instruct patients in the care and handling of contact lenses. Opticians are not doctors, but their knowledge and expertise are crucial to overall patient care. Generally, itchy eyes are due to allergies. which can be seasonal or specific to certain agents. Although there are several over the counter eye drops you can purchase, many can actually worsen the condition; and the worst thing you can possibly do is rub your eyes. You can get relief! If you suffer from itchy eyes, call 248-482-2020 to schedule a professional optometric evaluation by Dr. Blaize. Consultations are covered by most vision insurances. Yes. Diabetes is the number one cause of blindness in the United States. Diabetes causes the blood vessels in the back of the eye to become fragile. Sometimes the vessels leak fluid and can affect central vision. In many cases this fluid will be reabsorbed. In later stages of diabetic eye disease new blood vessels are formed. They can bleed and destroy large areas of vision and potentially cause blindness. Diabetics have a higher risk of other eye problems such as glaucoma and cataracts. Macular degeneration is the third largest cause of blindness in the United States. It is a medical condition that generally affects older adults. The macula is the center area of the retina. It is supplied with blood from the choroid. When the macula deteriorates it is unable to make the images which are sent to the brain. This results in loss of central vision, thus making it difficult or impossible to read and sometimes, even recognize faces. There are two types of macular degeneration, “dry” and “wet”. Dry macular degeneration is when yellow spots called drusen bubble up out of the choroid and deposit on the retina resulting in a gradual blurring of central vision. Sometimes dry macular degeneration advances to a stage known as geographic atrophy. Geographic atrophy is the culmination of prolonged, progressive changes in the retina and is the main cause of vision loss in dry macular degeneration patients. Unfortunately, dry macular degeneration can progress to wet macular degeneration. In the wet form, newly created abnormal blood vessels grow under the center of the retina. These blood vessels leak, bleed, and scar the retina. This distorts or destroys central vision. Wet macular degeneration usually starts in one eye and may affect the other eye later. A cataract is a clouding that develops in the lens of the eye obstructing the passage of light. Cataracts typically progress slowly to cause vision loss, and can potentially lead to blindness if left untreated. The condition always affects both the eyes, sometimes one more than the other. Luckily, advances in medicine allow us to remove the cloudy lenses and replace them with clear artificial lenses. What is a nearsightedness or myopia? What is farsightedness or myopia? Farsightedness, or hyperopia, is a condition which causes muscles in the eyes to become fatigued. People that are far sighted can see objects far away much easier and clearer than those up close. Farsightedness can be corrected with glasses or contact lenses. Astigmatism causes vision to be blurry at distance as well as at near. It is caused by the cornea having an oval rather than round shape. This impairs focusing ability and causes blurred vision. Astigmatism is a common condition and can be corrected with glasses or contact lenses. Inside the eye there are a set of muscles connected to a lens. In order to focus your eyes, you contract the muscles to change the shape of the lens. When you’re young the lens is soft and flexible, so focusing is easy. As you age the lens gets hard and rubbery. This results in presbyopia, or the inability to focus. Presbyopia can be corrected with bifocals, progressive lenses, or reading glasses. Best Eye Doctor I have been going to Bayview for many years now and have never experienced such great customer care the way I do when I’m there. They make you feel like family and that you are the number one priority. Laurie specifically always makes my visits in there so enjoyable and takes away the fact that you’re visiting a doctor. Even living in another state, I refuse to go anywhere else other than Bayview Optical. I more than highly recommend it!! High Praise for Livonia Optometrist and Optician I like the welcoming feeling everyone of everyone in the office. Everyone is very attentive to what I need. My wife also feels welcome and says that everyone is very helpful when she comes in. Like Family Very quick and efficient! Staff was so friendly and make you feel like family. They were so helpful, minus the eye dilation!! [Joke! I know that’s necessary :)]I would definitely recommend this location for anyone looking for a new place. They will guarantee you leave happy! Friendly and Efficient Dr. Blaize and his staff are friendly, efficient and helpful. I highly recommend Bayview. 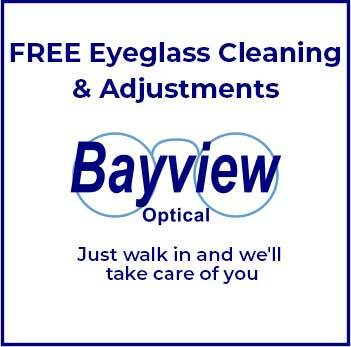 Optometry Staff Like Family Bayview Optical was my first choice of my last. I’m pretty sure I am not going anywhere else. I’ve been with them for some time and I love them like a second family. The service is great and the people are even better. Every time I stop in we have a great time and they get the job done. I’m always satisfied. I definitely recommend Bayview if you’re looking for an optometry in Livonia! Professional Optometrist I have been a patient of Bayview optical /Livonia 7yrs. Dr. Blaze is very professional,compassionate optometrist. I highly recommend Bayview / Livonia to family and friends. The office staff provides a family atmosphere. Everyone is caring, helpful and courteous. Exceptionally clean office. I am always Impressed with the exceptional service provided by all the staff. Lori is awesome! Excellent and Personal Service! The staff is very professional, make you feel like family, and not satisfied until you’re satisfied!